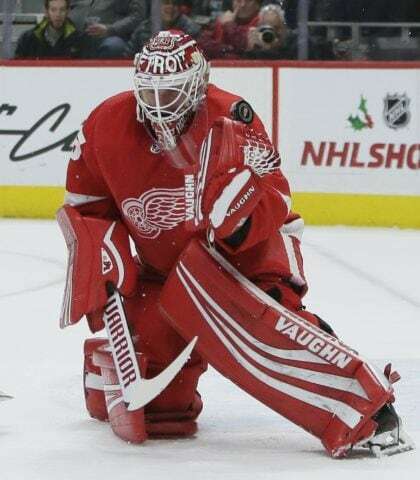 DETROIT — Jimmy Howard made a season-high 42 saves and Dylan Larkin scored his 12th goal of the season to lift the Detroit Red Wings to a 3-1 victory over the Los Angeles Kings on Monday night. Dennis Cholowski and Frans Nielsen also scored the Red Wings, who improved to 13-6-2 in their last 21 games. Howard came within 6:38 of his first shutout of the season. Anze Kopitar scored the only goal for Los Angeles.